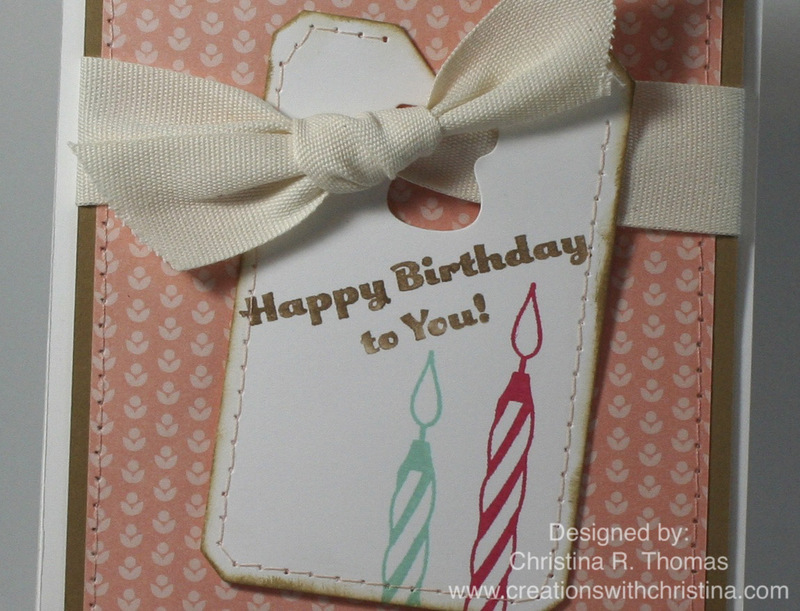 Today I'm sharing a video making a card using some of the 2013-2015 In-Colors. I can't get enough of this awesome set and fabulous colors. 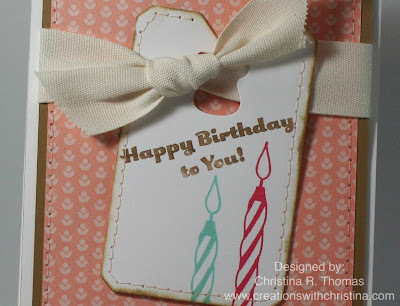 About the Card...I started off with die cutting the Chalk Talk Framelits die and then stamped out the candles from the Cycle Celebrations stamp set (using Strawberry Slush and Coastal Cabana inks). 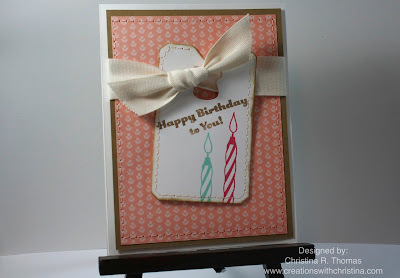 Using the Baked Brown Sugar Stampin' Write Markers I inked the Happy Birthday to you! sentiment and added it to the tag. 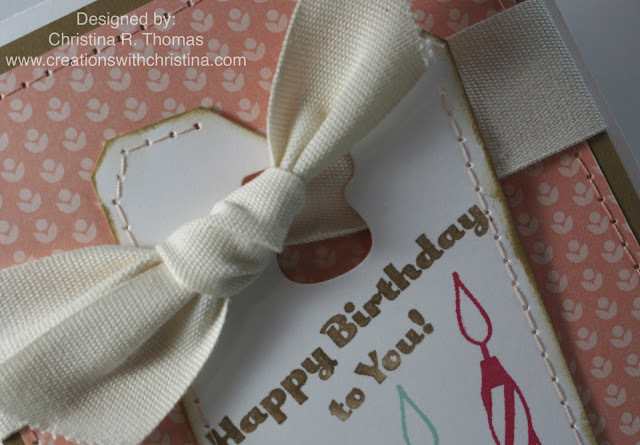 I also added a bow using the natural ribbon and inked the edges of the tag. 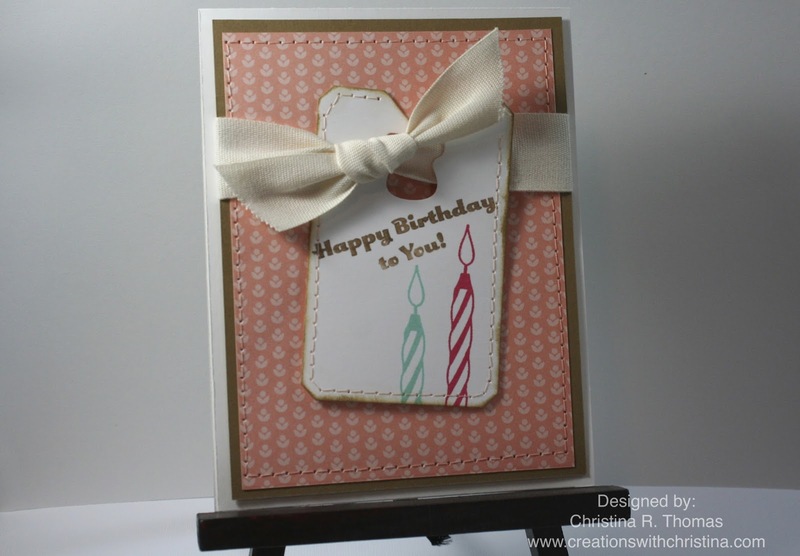 Layering the card with designer paper from Birthday Basics and Baked Brown Sugar cardstock. How very nice of you to make a birthday card for my birthday today. Great timing Christina! And great card.